BlackBerry is getting its chips set for the big launch of BlackBerry 10 and the first two new ‘Berries, and now the Canadian company has struck a partnership over carrier billing with 50 carriers across the globe. Carrier billing allows you to include the bill for your apps and other purchases on the BlackBerry App World in your monthly cell phone bill, and not have to worry about paying for them right away. Now, that’s certainly a big thing for RIM. The company will need all the benefits possible to get some traction for its ecosystem and new devices, and developers and users should be equally happy with carrier billing. Best of all for developers, carrier billing for RIM is also integrated with the BlackBerry Payment Service, which means it includes in-app purchases. All of those single-time or recurring payments are supported without interrupting the app experience. The BlackBerry App World is live in 170 markets and territories across the world, with over 100,000 apps available. This is what google needs to do. Srsly. 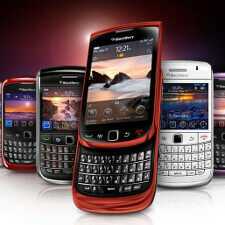 This is one of the best news from RIM with people in the Caribbean where i am from and 3rd world countries. Now getting an ap is so easy even a cave man can get all the pas he want. How will the prepaid service work? all hail BlackBerry!! loving what they are doing right now!